What is special about the Avalon Tapestry? The Avalon Tapestry launched in 2006. 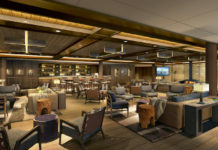 The Tapestry is special as it Avalon’s longest cruising ships it has superb décor throughout, from the lounges and restaurant to the luxurious 172sqft staterooms. It has panoramic windows throughout the public areas so the passing views can be taken in wherever passengers may be on the ship. The Tapestry is one of Avalon’s larger ships at 443 ft long with 80 staterooms. There are two 258sqft junior suites onboard the Avalon Tapestry. Onboard for passengers convenience is a hairdressers, fitness centre, library and internet centre along with two lounges, a bar and restaurant. All staterooms on the Tapestry have super-combed cotton linens and European-style duvets, with a choice of firm or soft pillows. All staterooms boast hotel style beds which can be separated into twins at passengers request and a spacious 3 door wardrobe with shelves for ample storage space. 85% of the staterooms have French balconies so the passing scenery can be absorbed fully from passenger’s rooms. Fresh flowers will greet passenger in their stateroom when they first arrive. All staterooms have Wi-Fi so passengers can access the internet from their room. Where does the Avalon Tapestry visit? What are the most popular destinations and attractions? The most popular destinations for the Tapestry is the Prague to Budapest route with places such as Nuremberg and Vienna. What are fellow passengers typically like? An Avalon passenger is typically near retirement age or retired. They enjoy experiencing and learning about new places and seeing new sights. They have an interest for history and culture. An Avalon passenger enjoys relaxed, quiet environments with fine food and wine on offer. What type of meals do you offer? Fine dining onboard, breakfast is served from 6am for early risers to 11pm for those late. It is a full continental buffet breakfast with sparkling wine and complimentary soft drinks on offer. At lunchtime there is a choice of a buffet in the lounge with tasty hot and cold options on offer or to eat outside in the open air bistro. Dinner is a four course affair with complimentary wine and beer and soft drinks. The dishes are regionally inspired classic dishes and are prepared using the freshest local ingredients. Do you cater to vegetarians and special diets? Avalon can cater for vegetarians and all special diets as long as it is made clear at the time of booking and also mentioned again to the cruise director on the day of embarkation; we also offer a healthy option with all buffets. The dress code is generally casual, Avalon recommend bringing a pair of comfortable walking shoes for sightseeing. The welcome and farewell dinners give you a chance to dress up but are not formal. Shorts can be worn in the Dining Room except at dinner. How should I tip on board staff? 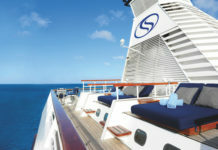 Gratuities are not included in the price of the cruise and are entirely discretionary. If it is a wish to reward good service we recommend 3 euro per passenger per day for the cruise director and 12 euro passenger per day for the crew, which will be divided amongst all of the Avalon Tapestry’s personnel. Gratuities envelopes will be left in staterooms the day before the cruise ends, and a designated box for envelopes will be in the reception area when passengers are leaving the ship. It is also customary to acknowledge good performance by a local guide with a tip of 1 euro per tour. What entertainment is on board the Avalon Tapestry? Every cruise includes two or three evenings of onboard entertainment, at least one show performed by the crew and nightly piano music. On certain cruises their may be guest speakers, local musicians performing folklore shows or classical recitals. A resident Pianist will also perform nightly. There is a selection of board game and a small library available onboard. What is inclusive of the price of booking, and what would I need pay extra for? How can I stay in touch with friends and family? There is Wi-Fi available onboard the Avalon Tapestry or access to computers for 5 Euros per hour in reception so email can be used to keep in contact with family and friends. There is also a direct dial telephone in every stateroom the cost of any ship to shore calls will be added to passengers account. Is Internet access available from the Avalon Tapestry? Yes as explained above there is Wi-Fi access available onboard the ship and also two computers with internet access in reception. Are hair-dryers provided in the cabins? Yes there is a hairdryer in every stateroom. What electrical voltage is offered onboard? It is non Smoking in all ship interior. Smoking is only permitted on the sky deck. Do your cabins have soap, shampoo, and conditioner? Yes all Staterooms have Premium L’Ocitane bath products. Yes room service is available. Are ATM machines available onboard? Yes but there is a corkage fee of 9 Euros per item on any personal drinks consumed in the restaurant and lounge. How can I celebrate special occasions (Birthday cakes etc)? If whilst onboard a passenger has a special occasional such as a birthday or anniversary and we are made aware of it there will be wine and chocolates in the stateroom on the passenger’s arrival. Also if the Avalon Tapestry personnel are made aware then they will do what they can to make it as special as possible. Do you allow children and young families on board? Avalon has found over the years that cruising holidays are not ideal for young children. For this reason, bookings are not taken for children under 8 years of age and there are no special arrangements or activities for children on board. Can babies’ cots and cribs be provided in my cabin? We do not take booking for Children age 8 or younger therefore cots and cribs are not provided onboard. What facilities are available for entertainment of young children? There are no special arrangements or entertainment provided onboard. Which ports does the Avalon Tapestry leave from? The Avalon Tapestry leaves from Vienna, Budapest and Nuremberg . How do I get to the Avalon Tapestry? Transfers are included with your Avalon cruise, if the whole package including flights is booked. How early do I need to leave? This dependant on the itinerary, embarkation does not start until 4pm. Is there parking available at the pier, and is there a charge? There is no parking available at the pier. What safety features do you have onboard? The Avalon Tapestry has been built to the highest safety standards, equipped with the latest technology and is crewed by a reliable and well-trained team. In the event of an emergency life vests are stored in containers on the sky deck and will be handed out by the crew. There is a document fixed on the inside of staterooms doors of full safety instructions that passengers should read when arriving on their cruise. A safety briefing will also be given once onboard the Avalon Tapestry. If Rocks Insurance is taken then you will be covered for up to £1500 for personal possessions. What is security like onboard? The lobby and reception desk are staffed 24 hours. Boarding cards are given to passengers when leaving the ship, and handed back in when returning. Crew check all boarding cards are returned before sailing to next destination. The doors are locked and accessible by codes in the evening. Avalon staff will be the first in European river cruise industry to receive training on 18 different points of security and safety. What if I get sick on board? If a passenger gets taken ill onboard there are first aiders amongst the crew, and medical services can be called quickly form shore if needed. Is there licensed medical staff onboard? There are trained first aiders but no licensed doctors or nurses. Will I get seasick or motion sickness? No as it a river cruise will not experience sea or motion sickness. Can I store insulin in my cabin? Yes there are mini fridges in every stateroom so passengers can store their insulin. Is the water on the Avalon Tapestry safe to drink? Tap water from the cabin is drinkable. There is complementary bottled water put in staterooms daily for passengers. What facilities are available for disabled and handicapped passengers? Wheelchair users should be warned that the cabin doors and shower entrances are not wide enough to fit a wheelchair through. For safety reasons passengers in wheelchairs cannot be carried on ramps in ports where the Avalon Tapestry is at anchor. There is an elevator onboard but this does not allow access to the sky deck. The showers do have handrails for passengers to support themselves on. Can I change my cabin? If after a client had booked they decided they wanted a higher category cabin they can enquire with reservations and if there is availability this can be sorted and extra costs will taken. Can my itinerary change? If so, what happens? On some rare occasions the itinerary may have to change due to instances out of Avalon’s control such as extreme weather or operational issues. Avalon will do their upmost to find the best solution. In the unlikely event of any river cruise not operating for whatever reason, this section will be undertaken by coach. If a passenger’s flight is delayed they should contact their cruise director for information about transport arrangements. In cases where the ship is sailing most European cities are easily accessible by taxis or trains.